The development of human benign prostatic hyperplasia (BPH) clearly requires a combination of testicular androgens and the ageing process. Although the role of androgens as the causative factor for human benign prostatic hyperplasia is debated, they undoubtedly play, at least, a permissive role. The principal prostatic androgen is dihydrotestosterone. Although not elevated in human benign prostatic hyperplasia, dihydrotestosterone levels in the prostate remain at a normal level with ageing, despite a decrease in the plasma testosterone. Dihydrotestosterone (DHT) is generated by a reduction in testosterone. Two isoenzymes of 5α-reductase have been discovered. Type 1 is present in most tissues in the body where 5α-reductase is expressed, and is the dominant form in sebaceous glands. Type 2 5α-reductase is the dominant isoenzyme in genital tissues, including the prostate. Finasteride is a 5α-reductase inhibitor that has been used to treat BPH and male-pattern baldness. At doses used clinically, its major effect is to suppress type 2 5α-reductase, because it has a much lower affinity for the type 1 isoenzyme. Finasteride suppresses DHT by about 70% in serum and by as much as 85%–90% in the prostate. The remaining DHT in the prostate is likely to be the result of type 1 5α-reductase. The suppression of both 5α-reductase isoenzymes with GI198745 results in greater and more consistent containment of serum dihydrotestosterone than that observed with a selective inhibitor of type 2 5α-reductase. 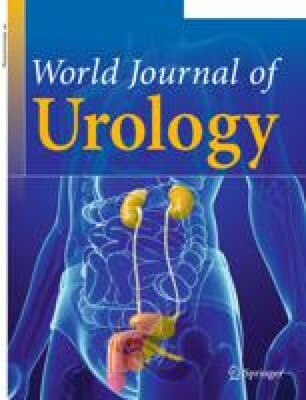 Physiological and clinical studies comparing dual 5α-reductase inhibitors, such as GI198745, with selective type 2, such as finasteride, will be needed to determine the clinical relevance of type 1 5α-reductase within the prostate. There have been two large, international multicentre, phase III trials published documenting the safety and efficacy of finasteride in treating human benign prostatic hyperplasia. Combining these two studies, randomised, controlled data are available for 12 months. Non-controlled extension of these data from a subset of patients, who elected to continue on the drug for 3, 4 and 5 years, are also available. Long-term medical therapy with finasteride can reduce clinically significant endpoints, such as acute urinary retention or surgery. According to the meta-analysis of six randomised, clinical trials with finasteride, finasteride is most effective in men with large prostates. A more effective dual inhibitor of type 1 and 2 human 5α-reductase may lower circulating dihydrotestosterone to a greater extent than finasteride and show advantages in treating human benign prostatic hyperplasia and other disease states that depend on dihydrotestosterone. A clinical evaluation of potent dual 5α-reductase inhibitors may help to define the relative roles of human type 1 and 2 5α-reductase in the pathophysiology of benign prostatic hyperplasia and other androgen-dependent diseases.